Collaboration-solutions company Nureva is doing for audio conferencing technology what the Amazon Echo speaker did to home audio. It created a new category of “smart” devices with the potential completely disrupt the market. Now, at the 2018 Integrated Systems Europe show, Nureva is expanding the scope of its own technology to reach out larger spaces and showing enhancements to its audio manager software, which is now automatically able to detect and perform updates to the HDL300 system’s firmware and to the audio manager itself. 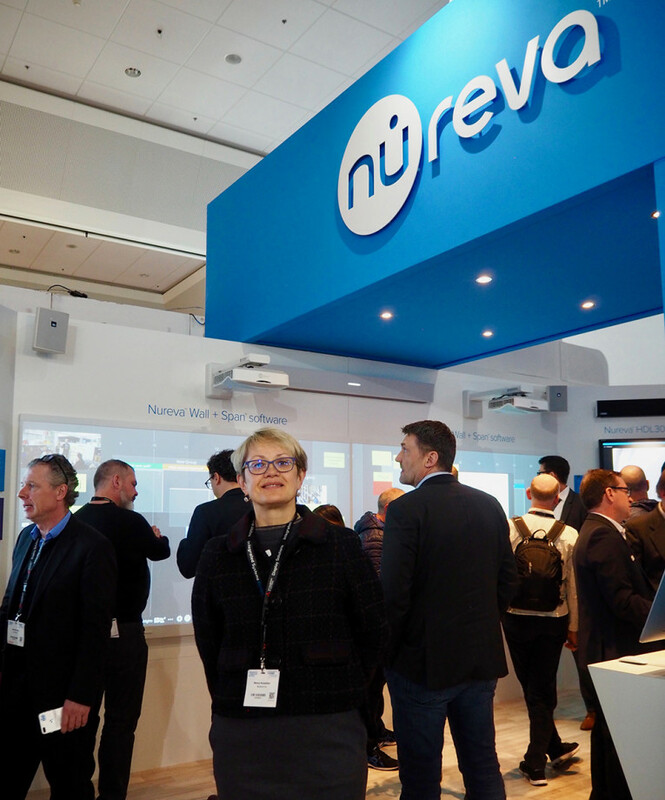 “We are thrilled to bring the remarkable audio conferencing experience of the Dual HDL300 system into larger spaces where the challenge of achieving cost effective audio performance can be so great,” sated Nancy Knowlton, Nureva’s CEO, at ISE 2018. The main announcement for ISE 2018 is certainly the new Dual HDL300 Audio Conferencing System for larger spaces. The original Nureva HDL300 “soundbar” is optimized for meeting spaces up to 20' x 40' (6.10 x 12.19 m) and a maximum operating range of 30' x 50' (9.14 x 15.24 m). The dual system is the second model in the HDL300 audio conferencing system product line, which launched in June 2017. Powered Nureva’s breakthrough Microphone Mist technology, the Dual HDL300 system fills a room with up to 16,384 virtual microphones that pick-up sound throughout the space, regardless of where in-room meeting participants are standing or the direction they are facing. This ensures that remote participants have a natural audio experience and can collaborate effectively. The system consists of two wall-mounted integrated microphone and speaker bars that plug into a single connector box, which is connected to a laptop or meeting room computer. The single HDL300 system is already widely recognized for its remarkable audio pickup (generated by simultaneously processing audio from 8,192 virtual microphones,) simple installation and auto-calibration capabilities. The new Dual HDL300 system was developed in response to customer demand to bring these capabilities into larger, dynamic spaces where the challenge of delivering quality audio conferencing is even greater. These spaces include briefing centers, training rooms, conference rooms, learning labs and a range of multipurpose rooms. They often involve participants moving around the room – speaking from many locations and facing almost any direction. Powered by the next generation of Microphone Mist technology, the new dual system can handle the audio requirements of these spaces without the complexity and cost of more elaborate solutions. The technology uses sophisticated algorithms to simultaneously process and integrate sound from two sets of virtual microphones that fill the room and feed the sound to remote participants. This, combined with simultaneous echo cancellation, position-based automatic gain control and sound masking, creates a clear and natural audio experience. The Dual HDL300 audio conferencing system will be available for order in March 2018 and will ship in June 2018. The European MSRP is US$6,499 (exclusive of VAT). Prices in other countries will vary. Nureva is also showing the new Nureva audio manager, a software for the HDL300 audio conferencing system that automatically detects and performs updates to the HDL300 system’s firmware and to the audio manager itself. This means that HDL300 system users will always have the latest advancements in the system’s Microphone Mist technology. This is the first of a planned series of enhancements to the HDL300 system. 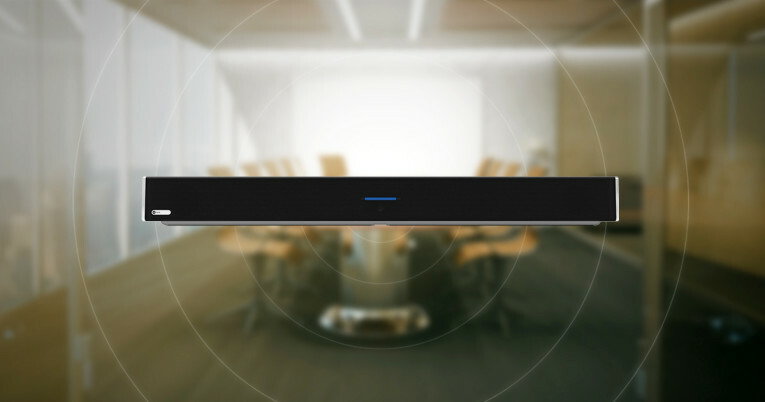 At the core of the HDL300 system is Nureva’s breakthrough Microphone Mist technology, which places thousands of virtual microphones throughout a room to pick up sound from any location to ensure that everyone is clearly heard regardless of where they are in the room or the direction they are facing. The system uses sophisticated algorithms to simultaneously process sound from all virtual microphones to provide remote participants with a high-quality listening experience, enabled by continuous autocalibration, simultaneous echo cancellation, position-based automatic gain control and sound masking. When combined with the Nureva Span visual collaboration system or other interactive display, the HDL300 system can also be used as the primary source for audio and video playback. 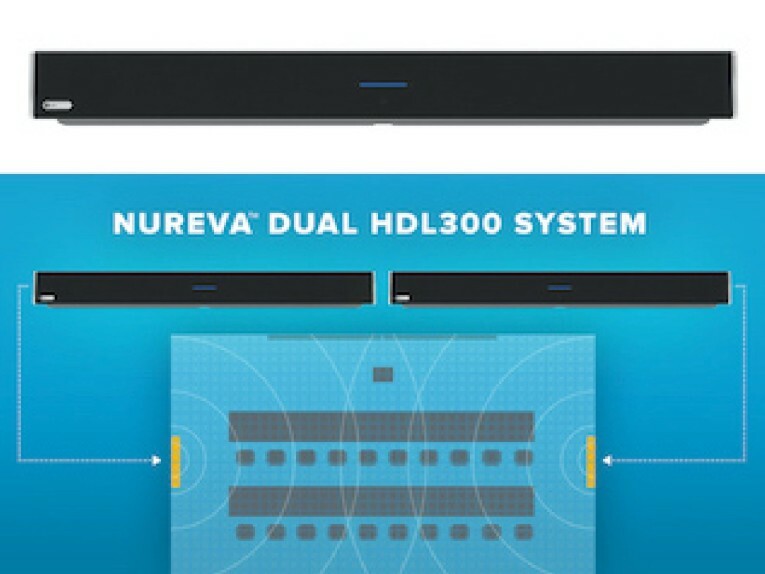 The Nureva HDL300 system is designed to work with Skype for Business, Zoom, Blue Jeans, Cisco Spark, Cisco WebEx, GoToMeeting, Pexip Infinity Connect and other common UC&C applications, and has recently won a Top New Technology (TNT) Award in the Unified Communication and Collaboration (UC&C) Audio Components category.